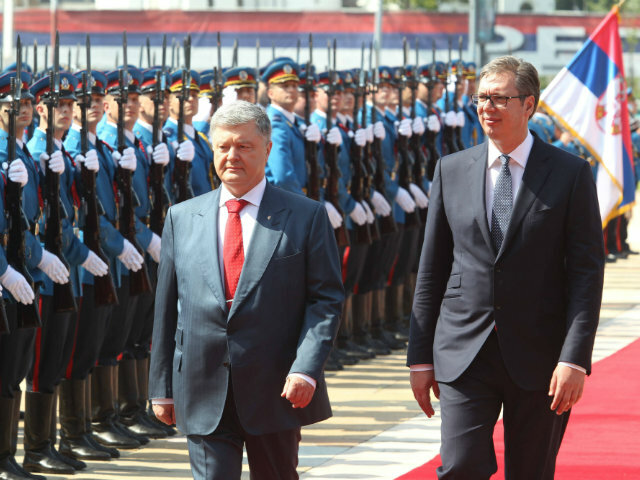 Reporting on the visit by Ukrainian President Petro Poroshenko to Serbia, Radio Free Europe – Balkan service reported that the tensions between Belgrade and the Ukrainian ambassador in Serbia, which had diplomatic consequences, arose in early November 2017 and that the trigger was ambassador Oleksandr Aleksandrovych’s interview with BIRN. In the interview, Aleksandrovych said that “Putin does not care about Serbia”, claiming that Russia’s president is only using Serbia as “another instrument to destroy Europe”. Aleksandrovych also stressed that that Serbia was not doing enough to stop its citizens from travelling to Ukraine to fight for pro-Russian forces in the conflict in the east. The ambassador said that Russian propaganda and its secret services had played a huge role in attracting Serbian and other foreign mercenaries to Ukraine. After BIRN interviewed the Ukrainian ambassador, tensions between Kiev and Belgrade rose. Ukraine’s Foreign Minister Pavlo Klimkin called on Serbia to respect his country’s sovereignty and territorial integrity. After summoning the ambassador to Serbia back to Kiev for consultations on November 3, Ukraine’s government also urged Serbia to show respect for its sovereignty and integrity, and to deal with the issue of Serbs fighting for pro-Russian forces in the Donbas area of eastern Ukraine.